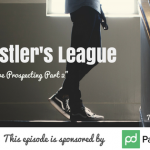 TSE 490: TSE Hustler's League: "Creative Prospecting Part I"
Do you find yourself doing the same old thing with your prospecting? It may still be working or maybe not. But, how about tapping into your creative side and do things differently moving forward? 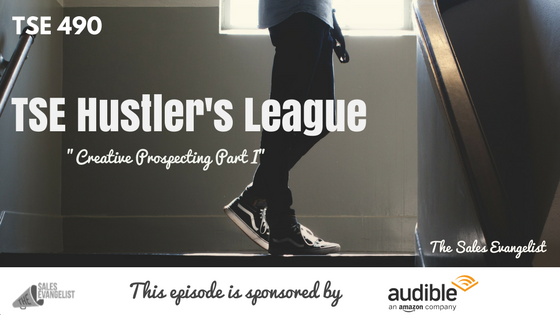 In today’s snippet, taken from one of the sessions over at the TSE Hustler’s League, we specifically talked about Creative Prospecting. This is a two-part episode because we’ve got great stuff in store for you. It’s what they only know. It may have worked and continues do so. Videos are very powerful prospecting tools but oftentimes people don’t pay attention to them. Videos make it easier for you to explain things than just reading it. 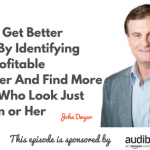 It all boils down to quick, simple information which clients want. Video in an email leads to 200% to 300% increase in click-through rates. 50% of executives look for more information after seeing a product or service video. 75% of online video viewers have interacted with an online ad this month. 1 in 3 of all online activities is spent watching videos. An average user is exposed to an average of 32.3 videos in a month. 80% of users recall a video ad they’ve viewed in the past 30 days. 75% of executives watch work-related videos on businesses, websites, etc., at least once a week. Enjoyment of video ads has increased purchase intent by 97% and brand association by 139%. 59% of executives would rather watch videos than read text. People utilize videos in many different ways. As sellers though, it seems that we’re not taking advantage of video within the sales process because we’ve done things the traditional way. People like to be entertained than educated. Find a way for your clients to understand or learn through video, but make it entertaining first and you’ll see greater increase. Understand the trends in the society where a lot more people are now using videos. So it’s better to send your clients a simple and quick video than sending them long text emails. Dr. James McQuivey estimated that 1 minute of video is equal to 1.8 million words. This said, you can definitely articulate more through videos as opposed to just writing things out in text. Join our group of like-minded people at the TSE Hustler’s League. This semester is focused on building value. Get a free audio book download and a 30-day free trial at audibletrial.com/tse with over 180,000 titles to choose from for your iPhone, Android, Kindle or mp3 player. What do you like about our podcast? Kindly leave us some rating and/or review on iTunes. This would mean so much to me.